It’s a cold, hard truth that not every day is going to be a good skin day. Sometimes you look in the mirror and smile at your fresh-faced glow and perky gaze. And then there are the times when you catch a glimpse of your reflection and wonder who that haggard, exhausted soul is staring back at you. And for many of us, it’s the latter that we face more often than not. The good — scratch that, fabulous — news is that we don’t have to resign ourselves to dashed dreams of vibrant skin. There are a myriad of skin and makeup tricks you can employ for an instant complexion boost. 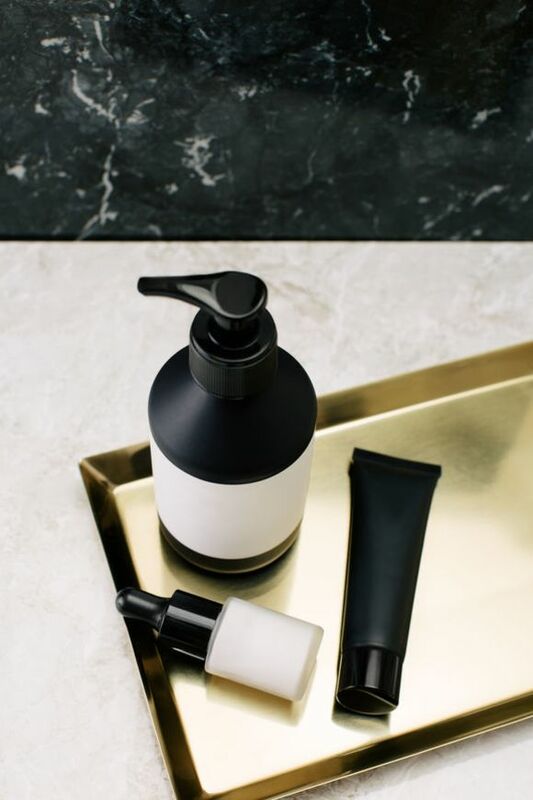 And, for those looking for something a bit longer-lasting, the dermatologist’s office is a veritable candy store of all sorts of things that provide options for your most vexing skin woes. We spoke with makeup artist Ashleigh Ciucci and NYC-based dermatologist, Joshua Zeichner, M.D. to learn everything you need to know about getting your best skin now and further down the road. Keep reading for the inside scoop. Ciucci says to start with a cooling eye cream — the cold helps temporarily reduce any visible swelling — that is also rich in puff-decreasing ingredients like caffeine or antioxidant-rich cucumber. She uses Origins No PufferyTM Cooling Roll-On for Puffy Eyes ($29), which calms skin with a chilly cucumber-based gel and has the added benefit of a rollerball application for a de-puffing mini-massage. If you want to super-charge your depuffing, try using Night’s Silk Beauty Eye Mask with Cooling Gel ($65) — pop the removable gel pack in the fridge then slip it into the silk eye mask, lay back, and let the soothing coolness depuff while you get a much-needed and well-deserved chill session. Caused by either hereditary hollowness or pigment deposits, dark circles are a source of constant annoyance for anyone who has ever had to deal with a well-meaning co-worker asking “Are you ok? You look tired.” Thanks Janice from HR, now I’m feeling really swell about myself. “The trick here is to do a one-two punch with a brightening eye cream and a color correcting concealer,” advises Ciucci. Look for an eye cream that diffuses light and bounces it back to diminish the darkness, such as It Cosmetics Bye Bye Undereye Eye CreamTM ($48), which is a pro favorite. Ciucci, says to pick a concealer that has a peachy undertone (if you are fair) or orange (for those with dark skin). “This shade will cancel out darkness and brighten the whole face,” she notes. Just remember that this type of concealer is not for blemishes — it’s much too warm for that type of camouflage job. Ciucci loves Benefit’s Boi-ing Brightening Concealer ($20). Contrary to popular belief, the makeup master says to apply your correcting eye cream and concealer only on the areas that are actually dark. For instance, if only your inner corners are shadowy, apply the products there and there alone. “If you apply your cream and concealer under the entire eye, that inner corner will still look darker,” explains Ciucci. For both causes, however, Dr. Zeichner cautions patients to be realistic about their results as you usually only see a 25 to 50 percent improvement. “The skin around the under eyes is very sensitive, so we have to be careful in our treatments. Often times it may take more than one session to achieve maximum improvements,” he explains. “Dullness is caused by an accumulation of dead cells on the surface of the skin that interfere with light reflection,” explains Dr. Zeichner. It’s all about illumination when your skin is looking blah. But that doesn’t mean you need to go overboard on the highlighter. The goal here is to look naturally dewy and fresh, not strobed within an inch of your life. “My favorite hack for dull skin is to mix equal parts illuminating primer (try Becca Backlight Priming Filter) and BB/CC cream. When applied to the skin with your fingertips, your complexion glows from within,” shares Ciucci. This is actually one of the easiest ones to fix as it’s as simple as sloughing off that build-up. “We use treatments that help exfoliate dead cells from surface of the skin and help stimulate healthy activity of new skin cells,” says Dr. Zeichner. The good doctor recommends a mild chemical peel that uses acids to dissolve dead skin or microdermabrasion, which uses crystals to scrub them off. Your treatment protocol depends on the severity of the accumulation or just personal preference, he notes. No matter which you opt for, you’ll see an immediate improvement in radiance and tone — once the redness and minor irritation either treatment results in wears off, that is. As the name suggests, these brown patches on the skin are caused by skin cells that overproduce melanin in response to UV damage from the sun, says Dr. Zeichner. For those pesky spots, you need to get to get to the root of the problem with a skin brightening at-home treatment. And for that you need retinol, a derivative of vitamin A that is popular with both derms and aestheticians for its skin-tone evening powers. 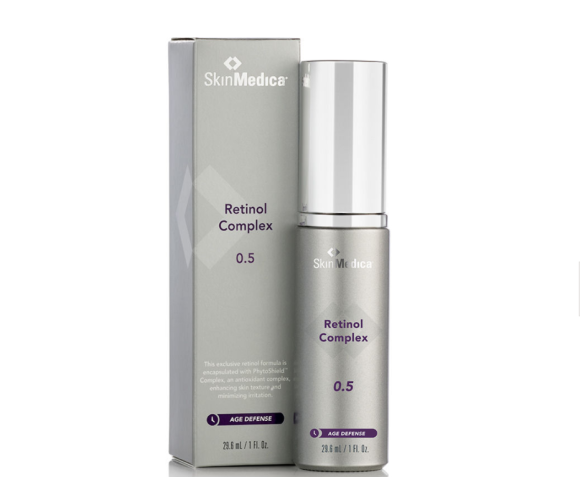 Try SkinMedica® Retinol Complex 0.5 ($78), which enhances skin tone and texture, but at a gentle enough percentage (0.5 percent retinol) to not over-irritate the skin. Just remember: While wearing SPF during the day is a smart choice, it’s absolutely imperative for retinol-treated skin, which is more sensitive to the sun. On the less intense end of the spectrum are chemical peels, which cause the skin to shed its outer layers and diminish the pigment, but at a shallower depth than the laser. That means an easier healing time — although there will still be at least a few days of downtime and a complexion that looks sunburned. Red spots can be tricky, as they don’t respond to the same ingredients as brown spots. Ciucci says to be on the lookout for skin-care products that feature aloe and safflower as they can help speed up healing and minimize redness. For concealing, opt for a creamy one that matches your skin tone, and make sure you have a great brush like this cheapie-but-goodie from Sonia Kashuk. While they will fade on their own, as mentioned before, that could be a long time coming. For those looking for quicker relief, Dr. Zeichner endorses a pulsed dye laser, which he says emits a beam of light that focuses in on the red pigment and removes it from your blood cells. “There are more red blood cells within the dilated blood vessels that give the spots their red appearance,” he notes. The results are “outstanding” he says, with most patients seeing immediate reduction of the pigmentation after a single treatment. Depending on the severity of the spots, however, he tells patients they may need between three and five treatments — administered a month apart — to truly clear up the complexion.